Labour section, of the Sri Lanka High Commission was established to ensure the well being of the migrant workers to Singapore and also to promote more employment prospects for Sri Lankans to work in Singapore. The activities of the Labour section are monitored by the Sri Lanka Bureau of Foreign Employment. Regulate operations of licensed employment agencies in Singapore. Settlement of disputes arising out of non payment of wages. Looking into issues related to physical and sexual harassment. Holding inquiries into complaints on breach of employment contracts. Liaising with host government authorities such as Police, Ministry of Manpower, Immigration and Prisons. Visits to Prisons, Hospitals and other Institutes related to labour welfare matters. Attending to inquiries held at Ministry of Manpower and Courts. Attending to workers who are ill and also assisting them in the event of repatriation. Visiting work sites such as Old People's Homes, etc. where Sri Lankan workers are employed. Participating and organizing religious and other festival activities for workers. Verifying contracts that enable employers to recruit workers directly and contracts signed by registered agents and employer. Employers who wish to employ a domestic worker on a direct employment contract have to make and application to the Ministry of Manpower and obtain an In-Principle Approval (IPA). They also have to comply with other Ministry requirements such as Insurance, Banker's Guarantee etc. A fee of S$70.00 is charged from the employer. Please Note a deposit of S$ 1290.00 is charged from an employer and it will be refunded at the termination of contract. A copy of the contract document is given to the employer and this document, along with a copy of the IPA has to be sent to Sri Lanka (Faxed or emailed copy is accepted) One set, to the Airline on which the worker will be traveling and one set to the Sri Lanka Bureau of Foreign Employment. 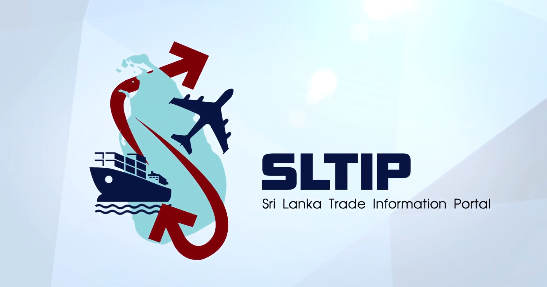 The prospective worker has to undergo a compulsory training course for 35 days conducted by the SLBFE (Sri Lanka Bureau of Foreign Employment) free of charge, after which a certificate is awarded on successful completion of this training course. The worker has to also undergo a Medical check by a Doctor/Clinic approved by the Bureau. However, the training program is not essential for those workers who have had previous experience working in Singapore and have proof of such employment. Workers seeking employment overseas have to make an insurance payment known as "Suraksha". This insurance payment is compulsory and the workers obtain benefits such as compensation in case of permanent disability of the employee, medical benefits given to family members, compensation made in case of accidental death etc. The employee will need to have the verified contract document in order to make this payment prior to her departure from Sri Lanka. On arrival of the worker to Singapore, the employer has to send the worker to the High Commission to sign and complete the contract document within a period of seven days. The contract documents are available at the High Commission. A registration fee of Singapore $ 45.00 is charged, to be renewed annually. Thereafter the employment agency is required to sign a Job Order with a Sri Lanka Licensed Employment agency, which would enable them to recruit workers to Singapore. The Job Order and the Special Power of Attorney have to be signed and sealed with the Singapore agency stamp, the Agreement has to be signed and sealed with the stamps of both Singaporean and Sri Lankan agents. A fee of Singapore $200.00 is charged for each job order. Employment agencies are permitted to deal with any five Sri Lankan agents. One Job Order entitles them to recruit 100 workers. The new salary scale of FDWs as of February 1st 2017 is minimum wage of S$ 497.00 with 04 days off per month. Singapore agents are allowed to deduct up to 2 month salary of a FDW as per the rules are regulations of Ministry of Manpower (MOM) Singapore. Deduction of Sri Lankan agency fee (inclusive of cost of air ticket) from the wages of the worker* has to be an amount approved by the SLBFE. The amount charged by the Sri Lanka agencies, to be mentioned by SLBFE to ensure that no overcharging or abuse of the system occurs. After the formalities of the agreements are completed, the agents are required to register each individual employment contract at this High Commission for verification. A fee of S$70.00 is charged from the agent. Please note, all the payments made to the High Commission will only be accepted by cash. When a complaint is made to the High Commission, by the employee or employer, the officers of the labour section talks to both parties concerned and make an attempt to solve the problem. In some instances they are requested to come to the High Commission in person. If the employee has been recruited through an employment agency, the agency is also asked to intervene in the matter, especially if the worker is to be transferred to a new employer. In instances where a solution cannot be found the matter is referred to the Ministry of Manpower. In extreme situations the High Commission will seek legal advice and in cases of physical abuse report the matter to the Police. The repatriation process is undertaken by the respective employers of FDWs. The housekeeper agrees to serve the Employer for a period of two years. *The employer shall bear the cost of return air ticket of the Housekeeper to Sri Lanka. Contract may be extended/ renewed by mutual consent of both parties for another period of not more than two years with an increase of salary by a minimum of 10%. Under such terms the Housekeeper shall be allowed by the employer a paid vacation leave to be spent in Sri Lanka for a period of not less than 15 days for each contract of service with her return air ticket paid by the employer. If the return air ticket provided by the employer is not utilized by the housekeeper at the end of two years contract, the cash payment in lieu of the cost of the return air ticket must be paid to the housekeeper. The contract may not be cancelled before its termination without the consent of the two parties. The housekeeper shall reside in the employer's residence and required to perform the normal chores in the employer's household. In no case shall she be required to work for other households or require her to work at his business establishment or other places of work. The employer shall pay the housekeeper a minimum monthly salary of S$ 497/- to be paid on the last day of each month. A record of receipt of salary has to be maintained duly signed by housekeeper and employer. The employer shall provide the housekeeper with free accommodation and free adequate meals three times a day. The employer shall also provide the housekeeper with free uniform whenever necessary. The employer shall provide the housekeeper four paid holidays per month and eight hours of undisturbed sleep during night except in special cases where reasonable rest hours should be given (during working hours). If the housekeeper agrees to no off day, a sum of payment as stated in the In Principle Approval (IPA) issued by the Ministry of Manpower (MOM) must be paid in lieu of the same. The employer shall provide the housekeeper with free medical services. In case of ailment, injury or accident arising out of and/or in the course of employment, the employer shall immediately repatriate the domestic housekeeper to Sri Lanka with transportation fare through the insurance coverage provided by the employer for the housekeeper. It is understood that the parties shall abide by the provisions of relevant Singapore Law for the compensation, recoverable from the insurance policy if any. In case of death the employer shall bear the expenses for repatriation of the remains of the housekeeper and her personal effects to her relatives in Sri Lanka or if the repatriation of the remains is not possible under the circumstances, the proper disposition thereof upon previous arrangements with the workers next-of-kin, or in the absence of the latter, the Sri Lanka Labor Attaché/High Commission of Sri Lanka in Singapore *when appropriate policy can be activated upon the death of the housekeeper. *Working hours of the employee shall not exceed twelve staggered hours per day. 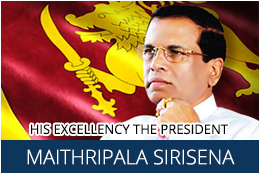 Employer should provide free passage from site of employment back to Sri Lanka.